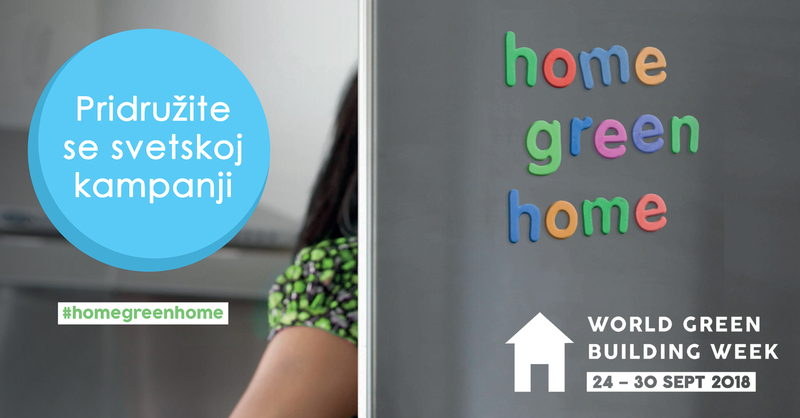 This year aswell Green Building Council Serbia supports the global campaign led by WorldGBC – #HomeGreenHome. The annual event, WORLD GREEN BUILDING WEEK, is traditionally held in the last week of September (24 – 30 September 2018) as national members of WorldGBC organize special events. In order to raise awareness in the society about the need for green and sustainable construction, we want to invite everyone in Serbia to make changes in their home; whether they are still being built or already lived in. A common goal should be our greener, healthier and more energy-efficient homes.